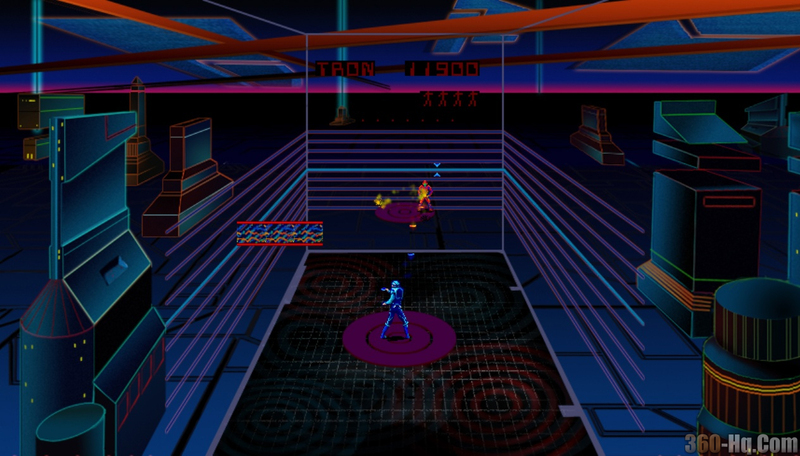 ''Tron'' arrives on Xbox Live Arcade on Weds. Featuring the familiar gameplay from the original, players battle as the mighty warrior Tron against the insidious Master Control Program and his ruthless right-hand man, Sark. “Tron” offers a four-part retro-futuristic test of skills, including racing light cycles, battling Sark’s tanks, fighting to enter the MCP cone and dodging grid bugs. “Tron” offers both the original arcade game and an enhanced version with new graphics, improved sound and two-person multiplayer. It’s the perfect re-creation of the original game based on the pioneering computer animated Walt Disney Pictures’ 1982 feature film, “Tron.” Plus, the Xbox LIVE Arcade version is the first version of “Tron” with two-person multi-player functionality of co-op and versus. The game will be available worldwide (with the exception of Japan and Korea) for 400 Microsoft Points and is rated E for Everyone by the ESRB. "Tron" will be available this Wednesday, January 9 at 9:00 a.m. GMT (2:00 a.m. PST).